The Scottish Learning Festival (SLF), one of Europe's biggest education events, has appointed EAS Group as its event registration partner for its 2016 edition. Each year SLF brings together 100 professional learning seminars, 4 keynotes, 3 professional discussions, more than 150 exhibitors and more than 5000 delegates. Since 2002 EAS has been delivering tailored registration solutions to the events industry across the world. They have worked on some of the most high profile events – including World Travel Market, London Fashion Week, The Labour Party Conference, Arabian Travel Market, London International Wine Fair – providing an end-to-end service that contributes towards the successful delivery of the organizers’ vision and goals. "We are very proud to have been selected and we are very much looking forward to working with Education Scotland to help deliver a seamless and innovative registration service", commented Peder Berg, EAS Group’s UK managing director. For full details on EAS’s full range of event registration, data management and accreditation services, please visit our services page, email info@eventadv.com or call UK +44 (0)207 613 5890 or Middle East +971 4 554 8152. 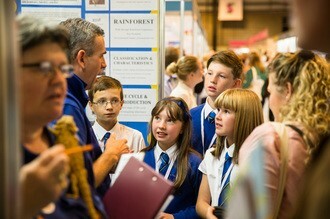 The Scottish Learning Festival takes place at the SECC in Glasgow from 21–22 September 2016. To find out more visit their website.